It is with a heavy heart that we announce the passing of Jean Lennea Finnimore (neé Robinson) at the age of 88. 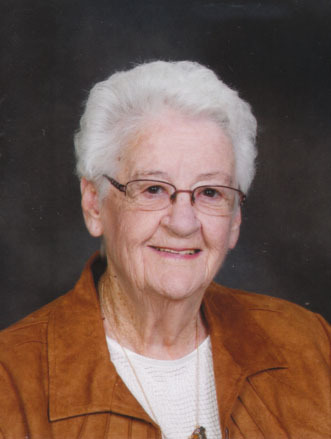 She passed away on January 2, 2019 at the Brandon Hospital, surrounded by family. Jean will be greatly missed by her devoted husband Cliﬀord Finnimore, her four children David, Stephen, Lennea and Joanne, and numerous grand children, extended family and dear friends. Mom, with all the love that surrounded you in this physical world, it will be ten-fold in heaven. No more pain, just peace and love to guide you and keep you. You will be sadly missed by many and remembered by more. You had a great personality, funny, loving, caring and spiritual. Our memories of you and our love for you will be in our hearts forever. Funeral service will be held on Thursday, January 10, 2019 at 2:00 p.m. at White’s Funeral Home, 271 Mountain Avenue, Neepawa, Manitoba. In lieu of ﬂowers, donations can be made to The Kidney Foundation of Canada.